2011 is the 32nd anniversary of Reroof America, a leading roof repair and replacement contractor with 10 offices across North America. 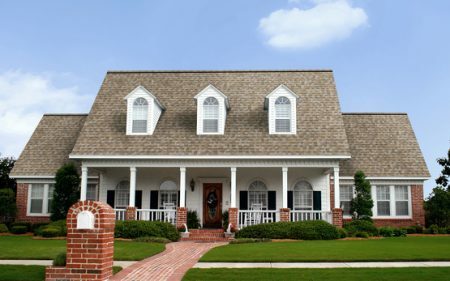 Reroof America has a long history of customer satisfaction that dates back to its founding in 1979 and has primarily focused on the roof siding and gutter replacement for residential and commercial applications in response to weather catastrophes. Reroof America, which began as Metro Roofing in Oklahoma City was originally active in the installation and supply wood shingles and shakes. 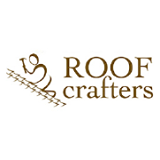 In the mid 1980’s the company’s roofing focus is what propelled Reroof America forward and its commitment to customer satisfaction led the company to the over 50,000+ satisfied customers it has today. In 1995 Reroof America obtained its license to roof in the State of Florida, establishing it’s Eastern most offices. During the hurricane years of the mid 2000’s Reroof America had 4 offices in Florida and roofed thousands of homes. To this day… Reroof America stands behind every single on of its installations and warranties. In 1998 the furthest office to the north, in Minneapolis was established. Reroof America MN LLC has itself satisfied thousands and thousand of residential and commercial customers. In 2000, Reroof America established its furthest office to the West, Reroof America Corporation AZ, by applying for and obtaining their license in the state of Arizona and began work there. Currently Reroof America operates as Reroof America Corporation DBA Reroof America Contractors. In 2000, Reroof America established it’s then furthest market to the south with Reroof America Contractors LA LLC, which has since to become one of the flagship offices for Reroof America employing some of the longest standing Reroof America employees. 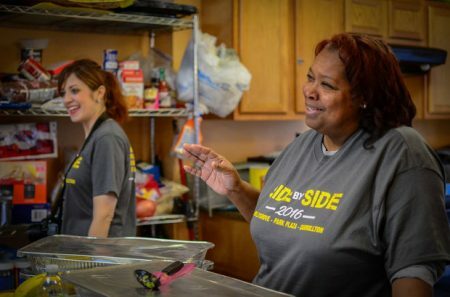 To this day Reroof America establishes offices in conjunction with their insurance partners, the local communities, and all applicable governing organizations to provide a fundamental service to homeowners. In fact, celebrations of this momentous occasion were held in the offices and markets where we are actively selling new work, including Reroof America MO, LLC with locations in O’Fallon MO and Raytown (KC) MO, and Topeka KS, Reroof America LA LLC, Reroof America OK LLC with two offices in Oklahoma City and two in Tulsa Oklahoma, Reroof America IL LLC, Reroof America CO, LLC, Reroof America MN, LLC and Reroof America Contractors in Arizona. As well as the markets where Reroof America is actively selling new work, Reroof America also holds licenses and/or is registered in Virginia, Wisconsin, North Dakota, Nebraska, Alabama, Florida, Mississippi, Ohio, Indiana, Iowa, Texas, Tennessee and Georgia. Reroof America is an established residential and commercial contractor that are authorized to install Tamko Commercial Products, GAF Low Slope Material as a GAF Master Contractor, GAF Steep Slope Material as a GAF Master Elite contractor, Owens Corning as a Perferred Contractor, Durolast Roofing as a Certified contractor, Firestone Triumph, Mulehide, MBCI Metals, Genflex PVC, Bitec Modified, Carlisle TPO, and JP Stevens PVC systems. Over the years Reroof America has achieved numerous awards for consumer protection, installation, and training, and continues to find new and better ways to serve our customers. “We are celebrating more than the significant milestone of doing business for 32 years,” stated JR Emrich, president and CEO of Reroof America. “We are also celebrating our customers, without whom, we would not exist” Added Mr. Lenzer, “and we are looking forward to 32 more years of a high level of customer service and satisfaction”. Integrity Roofing and Exteriors, the premier residential restoration firm in the Midwest, announced today that its Decatur Alabama office will help home owners throughout the Northeastern Alabama area this year, not only rebuild, but understand and work through the often complex insurance claims process. 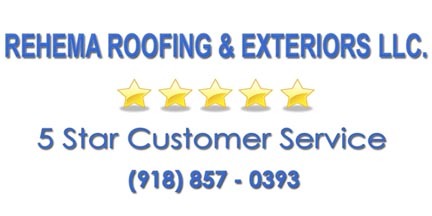 About Integrity Roofing and Exteriors. Integrity Roofing and Exteriors is committed to the community it serves providing employment and resources for long-term cooperative growth. Their commitment to 5 star customer service is unprecedented in the construction industry. Call them anytime at: 256-898-3332. About Integrity Roofing and Exteriors. Integrity Roofing and Exteriors is committed to the community it serves providing employment and resources for long-term cooperative growth. There commitment to 5 star customer service is unprecedented in the construction industry. Integrity Roofing: Just because your car didn’t receive hail damage doesn’t mean your roof is not damaged. Record catastrophic hail storms strike El Paso in 2007 and again in 2008. Integrity Roofing and Exteriors helps hundreds, not only rebuild, but sift through the complicated insurance process. Integrity Roofing and Exteriors, the premier residential restoration firm in the Southwest, announced today that its El Paso office has helped home owners throughout the El Paso area this year, not only rebuild, but understand and work through the often complex insurance claims process. Happy in El Paso, Robert Integrity has had to increase its production capabilities this year to keep up with demand. On any given day the company has workers in the area re-roofing homes, as well as helping with siding, gutters, and other exterior trades. With a strong commitment quality control, Integrity has one of the highest customer satisfaction rates in the industry. About Integrity Roofing and Exteriors. Integrity Roofing and Exteriors is committed to the community it serves providing employment and resources for long-term cooperative growth. There commitment to 5 star customer service is unprecedented in the construction industry. Call us anytime at: 915-241-5772. Rhema Roofing and Exteriors: Storms may not damage your car but can still destroy the integrity of your roof. Rhema Roofing and Exteriors, the premier residential restoration firm in the Southwest, announced today that its Tulsa office has helped home owners throughout the Tulsa area this year not only rebuild, but understand and work through the often complex insurance claims process. “Most homeowners do not realize they have hail damage. Why? It is impossible to see damage from the ground,” states Terry Gwaltney. “Homeowners need a trained professional who knows the difference between nail pops, blistering and hail damage. The 5 star customer care program delivered more than promised. Tim B.
Rhema took care of my entire project making a stressful event turn into a great no hassle experience. Ann J.
has had to increase its production capabilities this year to keep up with demand. On any given day the company has workers in the area re-roofing homes, as well as helping with siding, gutters, and other exterior trades. With a strong commitment quality control, Integrity has one of the highest customer satisfaction rates in the industry. About Rhema Roofing and Exteriors. Rhema Roofing and Exteriors is committed to the communities it serves providing employment and resources for long-term cooperative growth.